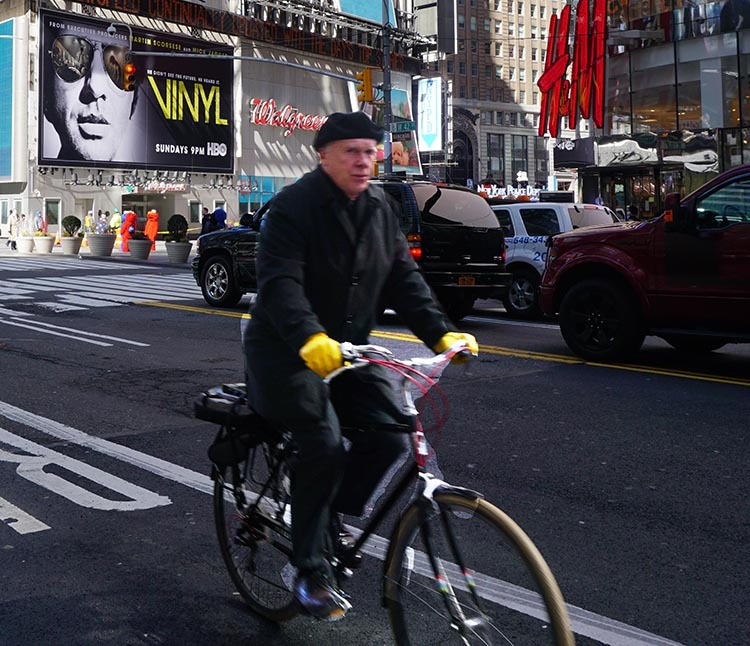 Why is the Mayor of New York Waging War on Ebikers? 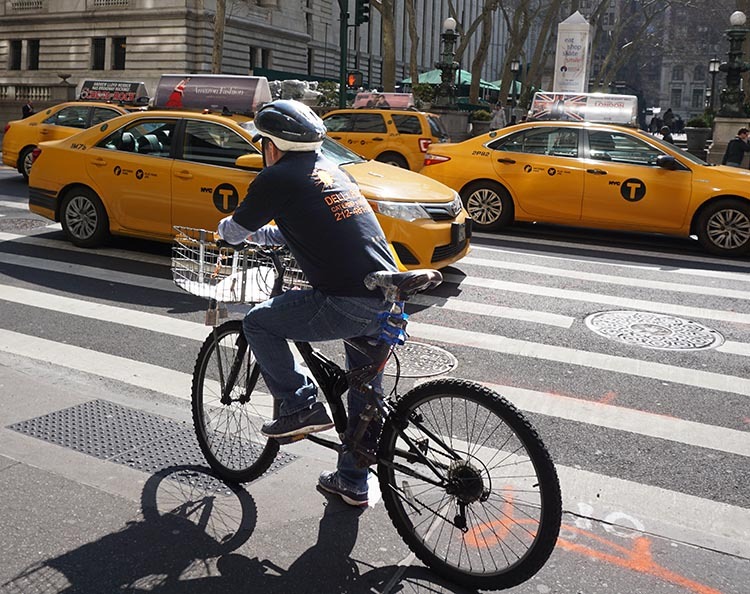 New York Mayor Bill De Blasio and the New York Police Department are waging war on ebikers, in the name of safety and Vision Zero. But why? There is no evidence that ebikers are a safety risk for anyone, and it seems that the only people who are being harmed by this merciless campaign are the vulnerable ebikers. They are basically delivery workers, mainly immigrants, many of them elderly, often eking out a meager living in sometimes brutal conditions. The campaign against them merely makes their difficult lives even harder. I admire De Blasio’s strong stand on sanctuary cities. But then why has NY singled out this group to persecute – effectively making NY unsafe for many immigrants? Watch this video that highlights the situation, and articulately explains why we should all care. The video was created by @rinakrack, who creates the brilliant YouTube channel Why You Should Care. It is published here with her kind permission. 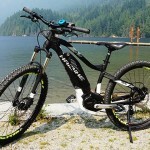 This attack on ebikes appears to have started in July 2017. 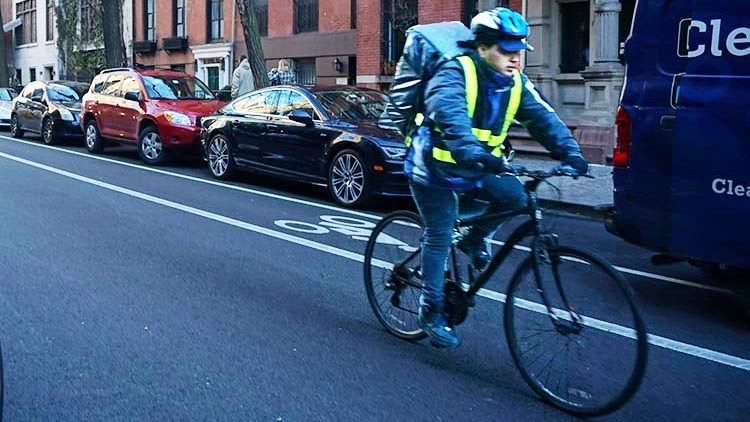 After hearing a WNYC radio story complaining about “reckless” delivery people on ebikes, De Blasio announced a crackdown in the name of Vision Zero. This heavy-handed reaction seems to have been based on a factual foundation of nothing at all. From what I can see, Vision Zero itself does not endorse this attack. De Blasio appears to have been responding to the complaint of Matthew Shefler, an investment manager from the Upper West Side, without any consultation with the industry or the workers themselves. The attack is supposedly in response to a threat to public safety. Yet in reality, cyclists – whether on ebikes or regular bikes – cause a negligible percentage of traffic injuries. For example, in 2016 in New York, cyclists were responsible for around one half of one percent of all traffic injuries. E-cyclists were lumped in with this stat, and thus comprise only a percentage of an already negligible percentage (source: Intersectional Riding). Moreover, NY does not even have any stats about ebike collisions. The NYPD states it does not track whether accidents with bikes involve ebikes or regular bikes (source: Intersectional Riding). In 2016, 144 pedestrians and 18 cyclists were killed in New York. 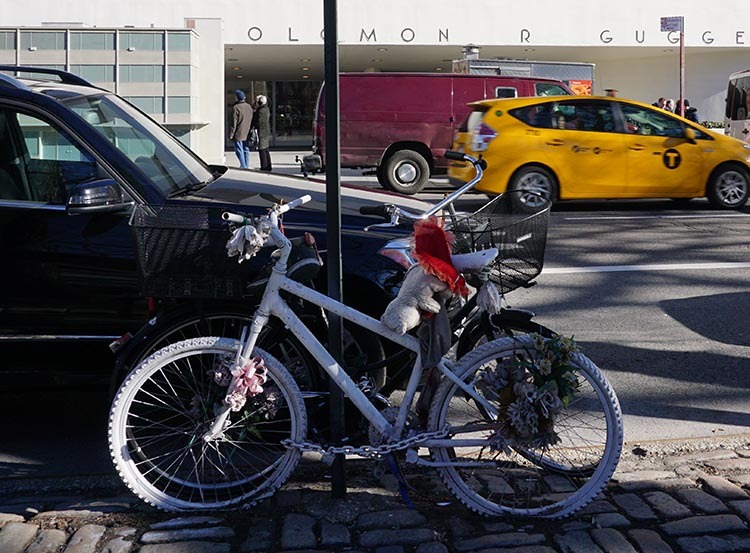 They were all killed by motorists, not by cyclists – whether on ebikes or on regular bikes (source: New York Times). So, the persecution of ebikers appears to be the result of complaints from a few individuals, not a response to any actual injuries. So, in effect, they are persecuted for what they might do in the future. The complaints of people with more privileges apparently are more important than the livelihood of people with less. As usual, some people are more equal than others. In the meantime, the real source of danger is – of course – motorists. Regardless, policing continues to focus on ebikers rather than motorists, with the NYPD proudly tweeting photos of ebikes it has seized from struggling delivery people. I look at those bikes and think how hard it must have been for the owner to come up with the money to buy it, and find it really quite stomach-turning. Illegal #EBikes for as far as the eyes can see. Technically, ebikes seem to be illegal on NY streets. 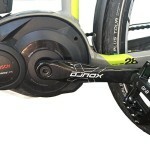 However, there is much confusion about whether this applies to throttle-powered ebikes only, or to pedelecs as well. In practice, the confusion allows the police to selectively target the delivery ebike riders. 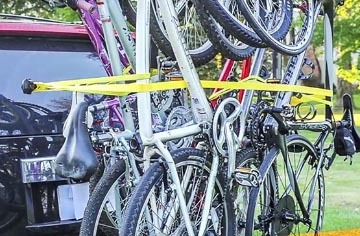 Affluent patrons of up-market ebike shops who buy mainly pedelec ebikes for between $3,000 and $7,000 have no reports of ever being fined or having their ebikes confiscated (source: Intersectional Riding). Again, some people are more equal than others. De Blasio argues that they are targeting businesses, not workers. But in practice, the workers are almost all independent contractors, and it is they who are targeted, not businesses. Are mainly immigrants, often undocumented. Are mainly Chinese, followed by Hispanic. Are often elderly, in their 50s and beyond, and cannot do this tough job any more without electrical assistance. Notable is that ebike delivery people have a median age of a decade older than regular bike delivery people. So, persecuting them is also ageist. Earn low wages – often as little as $4.50 per hour – while working 12 to 16 hours per day. This in a city that is one of the most expensive in the world to live in, as mentioned in the video above. Can only improve their earnings by making more deliveries in a day – which most cannot achieve without some mechanical assistance. May be fined up to $500 just for riding their ebikes, which represents half a month’s income for most of them. By October of 2017, the NYPD had seized over a million dollars worth of ebikes from low-wage immigrant workers; and fined them another million dollars in ebike fines (source: Intersectional Riding). This seems like nothing less than stealing from the poor to placate the rich. May be deported if they cannot pay their fines. The lives of these delivery people were tough before the mayor decided to declare war on them. Apart from low wages, they deal with angry and sometimes violent customers, and endure class discrimination when trying to drop off their deliveries – for example, being sent around to the rear door, wasting their time and making them late for their next delivery. And of course, they face the same danger that all cyclists face – motorists. Ebikers are also injured and killed by motorists, just like other cyclists. Yet when a hit-and-run motorist killed ebike delivery man Gelacio Reyes, the fact that he was riding an ebike was kept quiet during the vigil. It seems that this was to keep the activist focus on bike lanes rather than ebike deliverymen. His wife Flor privately related that her husband had borrowed money in order to get a job delivering food (source: Intersectional Riding). You can read Do Lee’s brilliant analytical essays on what he calls #VisionZeroApartheid here. Dosik analyzes the situation through a race and class lens, arguing that the persecution of these ebikers amounts to the persecution of harmless people who are low-wage immigrants – and also are people of color. A frequent argument against ebikers is the safety of elderly pedestrians, but the ebikers are often elderly themselves, and require safety from persecution while doing an often-dangerous job. We were in New York during a bitterly cold month. We constantly noticed the ebike delivery people. 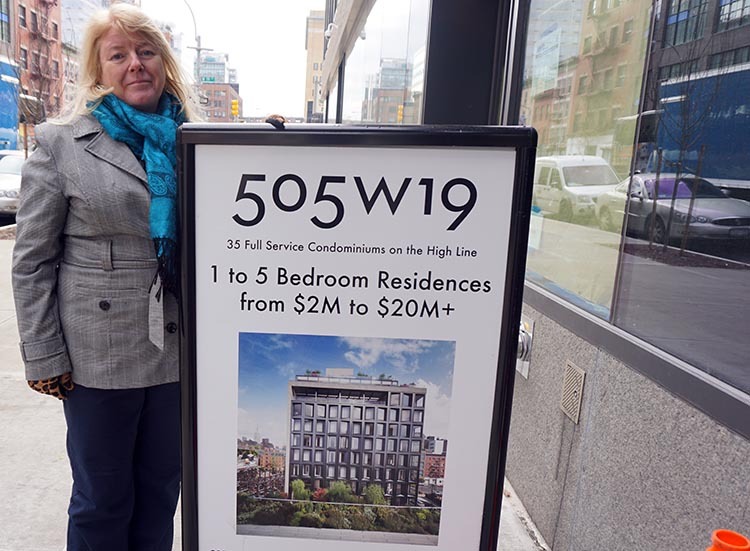 They were haunting figures as they darted around with their heavily laden bikes, full of delivery food and other goods for more affluent New Yorkers. I often stopped to examine the parked bikes, and sometimes noticed home-made constructions to protect their owner’s hands from the bitter cold. These constructions were often elaborate, but I also found them poignant, standing in silent testimony to an incredibly harsh job done by low-income workers in one of the most affluent cities in the world. Here is one of those bikes. The owner of this bike had attached a pair of gloves to the handlebars. 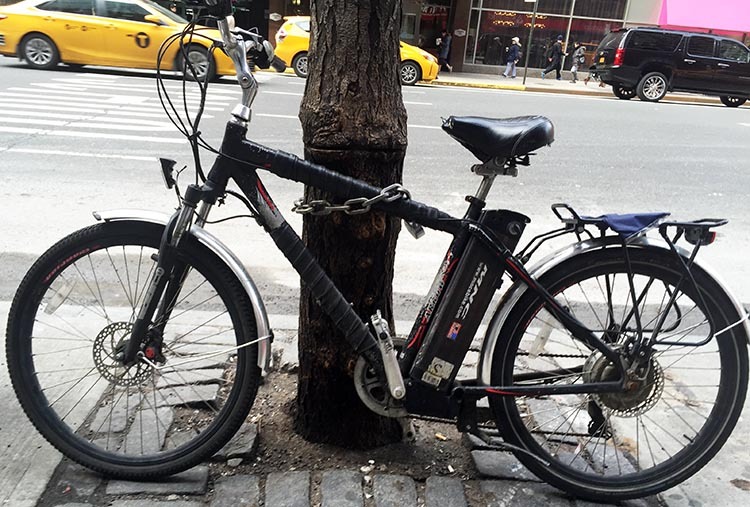 Are Ebikes Really a Public Safety Issue in New York? 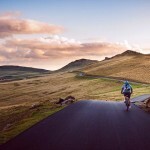 There is of course an argument to be made about the fact that ebikes are a much better choice for deliveries than cars, as they cause much less pollution and traffic congestion. But leaving that aside, let’s look at the public safety issue. Apart from the stats quoted above, we also experienced this personally. In all the time Maggie and I were on vacation in New York, we never felt endangered for one single second by delivery people on ebikes. 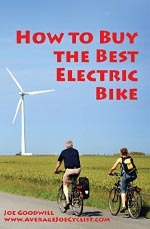 The campaign against ebikers demonizes ebikes as the problem. Yeah, that’s the problem with this New York street – too many ebikes! However, we often felt endangered by drivers. We were way too intimidated by New York motorists to ever ride bikes, even though we are bike bloggers. 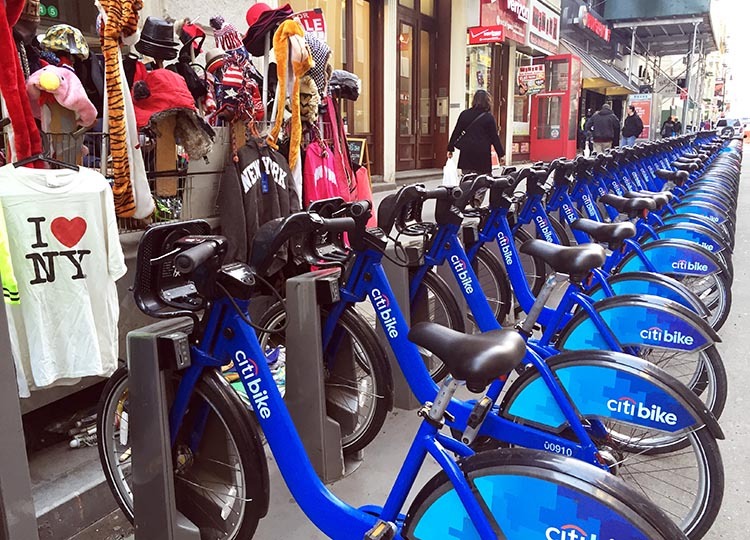 We have used the bike share programs of cities all over the world, and the existence of New York’s Citibike bike share program was one reason we chose New York as a vacation destination. We have enjoyed riding bike-share bikes in Brisbane, Melbourne, Montreal, Vancouver, and Paris. But in New York, for the first time, we were too intimidated by the traffic to ride them. 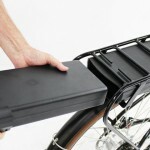 Not by the bikes – just by the motorized traffic! When we were passengers in buses and taxis, we were sometimes amazed at the utterly disrespectful way the drivers treated pedestrians and cyclists. 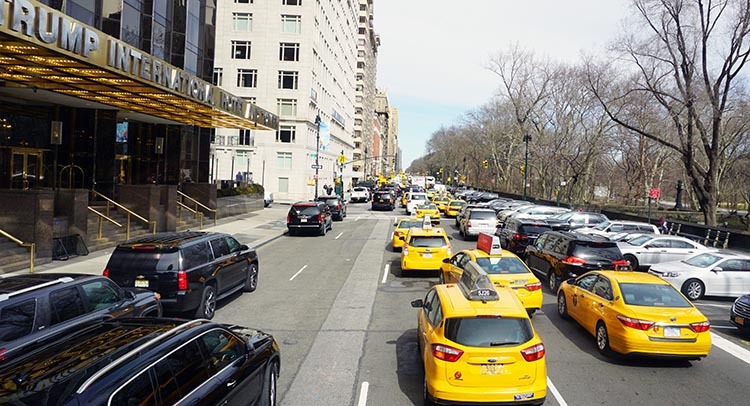 Wherever we went, we saw motorists committing precisely the traffic infractions that are usually cited as justifications to target ebikers (as De Blasio does in the video above). The difference, of course, is that motorists breaking the law can very easily hurt or kill you with their cars.